Beautiful, like-new home in Sorrel Ranch! Open 2 story floor plan with 5 bedrooms and 4 baths. Main level features a large kitchen, great room with vaulted ceilings, custom mud room, full bath, and bedroom that can be used as an office, playroom, or guest room. Upper level features the Master suite with 5pc bath and walk in closet, 2 additional bedrooms, full bath, and laundry room. Finished basement has a huge family room, bedroom with walk-in closet, 3/4 bath, and full wet bar equipped with a dual tap kegerator. Unfinished portion of the basement still leaves plenty of room for storage and/or a home gym. Newer carpet on upper level and wood flooring in basement. Great outdoor space with large wood deck and yard that backs to open area and trails. Community pool and park just around the corner! 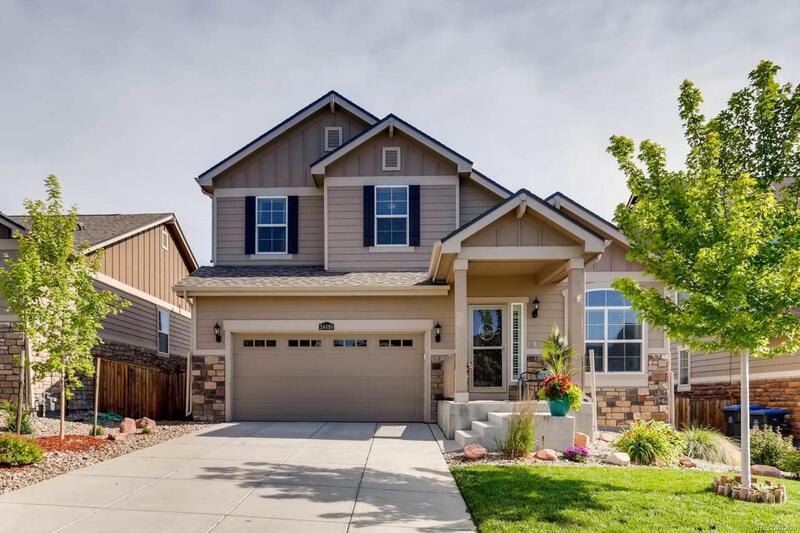 This home is located in the highly acclaimed Cherry Creek School district. Walking distance to Southlands Mall- tons of shops, restaurants, and year round events. THIS HOME IS A MUST SEE! !